Development on SNESguide has been discontinued as of 2017 in order to focus completely on NESguide; the original project and our true passion. Thanks for your support! NBA Jam is a two-on-two basketball game You can play any NBA team, and you can play as players like Barkley, Starks, Pippen, and Grant. Each human player controls a single player, so choose your squad wisely to take team-mate skill into account. 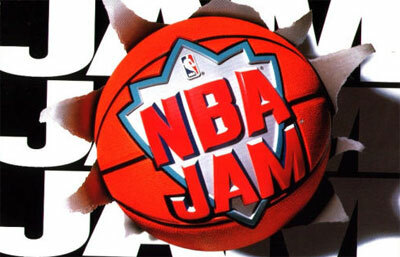 The game is action-oriented, and players can perform unrealistic slam-dunks. Full performance statistics are automatically recorded. The play clock and 3-point line apply, but other rules are largely overlooked. All video game characters, titles, artwork, music, and other creative elements of these games belong solely to their original creators. NESguide is not affiliated with Nintendo of America, Nintendo Co Ltd, or any other video game publisher or development company.